Matt and Kim is a music group that everyone seems to know, if not, then their songs are easily recognizable. Matt and Kim’s sound is unique and seemingly unchanged over time. With their newest album titled “ALMOST EVERYDAY”, released May 4, 2018, Matt and Kim keep their traditional sound alive. 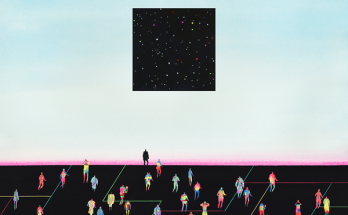 The album, played through in one listen, is like a jumble of ideas piled together. Whether or not a listener is a fan of the “ALMOST EVERYDAY” might rely on the fan’s own personal bias toward Matt and Kim at baseline. From a standpoint of musical diversity and growth, Matt and Kim venture very short distances from what they’ve done before. Some musical groups have a hit song that shoots them into fame (think The Neighbourhood and their song “Sweater Weather”) and the rest of that group’s career is chasing that musical high. Repeatedly attempting to recreate something so great from before is a wasted effort; attempting to create something personal, fulfilling and interesting just from a personal standpoint should be the focus of a musical career. 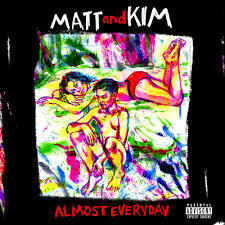 In comparison with past albums, “ALMOST EVERYDAY” seems to be nestling into familiarity for Matt and Kim, and possibly chasing past hit singles like “Daylight” and “Not Alone”. A fan does not have to agree with this idea, but it cannot be denied that the album played in one go presents a very flat line story. Songs do not seem to blend together to create a story, and maybe this wasn’t the point of the album. An album, though, is a musical journey, sharing a story through different songs. “ALMOST EVERYDAY” lacks a climax to that predisposed story a listener expects. The album does display effort, it is minimally different in its own way. Past albums from Matt and Kim could be argued to be more acoustic, but that is still a stretch. Matt and Kim’s signature sound includes a lot of keyboard work, and with “ALMOST EVERYDAY” the dial is turned up a notch. Although Matt and Kim have been techno in the past, this new album is on a different level. This new level of techno style could contribute to the lack of “highs and lows” for the album. The album as a whole is extremely excited and disorganized in its sound. Songs like “Youngest I Will Be” and “Where Do We Go From Here?” show that, again, an attempt was made toward making a story to the album, but that effort is minimal in comparison to the forte of the rest of the album. Besides its musicality and “smack in the face” sound, the album has interesting lyrics, mostly sitting on the morbid side of the line. Songs like “Forever” and “I’d Rather” touch on the subject of dying, attempting to give it a bright sound for listeners. Some lyrics are extremely dark and pessimistic, which is surprising for Matt and Kim, who usually have lyrics with a lighter theme. These new lyrics are disguised in cheery sounds, which might deter a listener from leaving with those pessimistic ideas. Maybe this contributes to the difficulty of the album as a “long play”. Such negative lyrics can bring down the listener’s stamina to stay listening, the songs just might do better alone, as the part of a playlist. The album is just not fit for a marathon listen.